Lizard Ridge is done. All knit and finished. 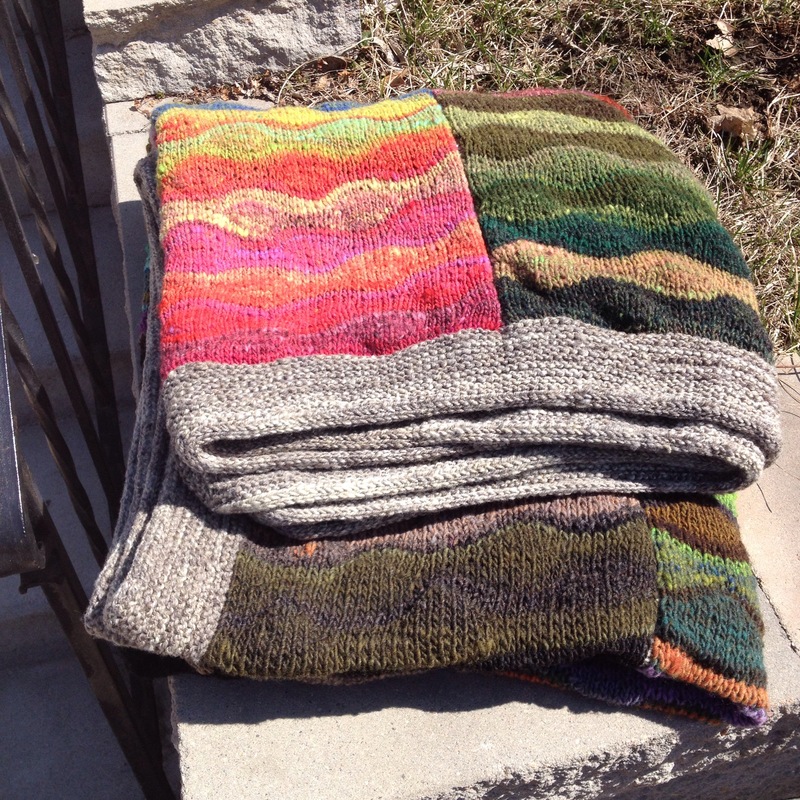 I feel fortunate that I worked on weaving in the ends before I finished the border. It would have been tough to keep at it after the border was complete. What it needs now is a really good steam blocking to loosen up the border yarn and make it lay flatter. There’s no way I am going to try to soak and block a queen size blanket, so a good steam blocking will have to do. Unfortunately, the iron is packed. And I am not going to go try to find it at this point. So, it’ll have to wait for the unpacking in the new house. I’ll show a final picture then. It is, however, a great relief to have it complete, and now I can work on other fun projects! 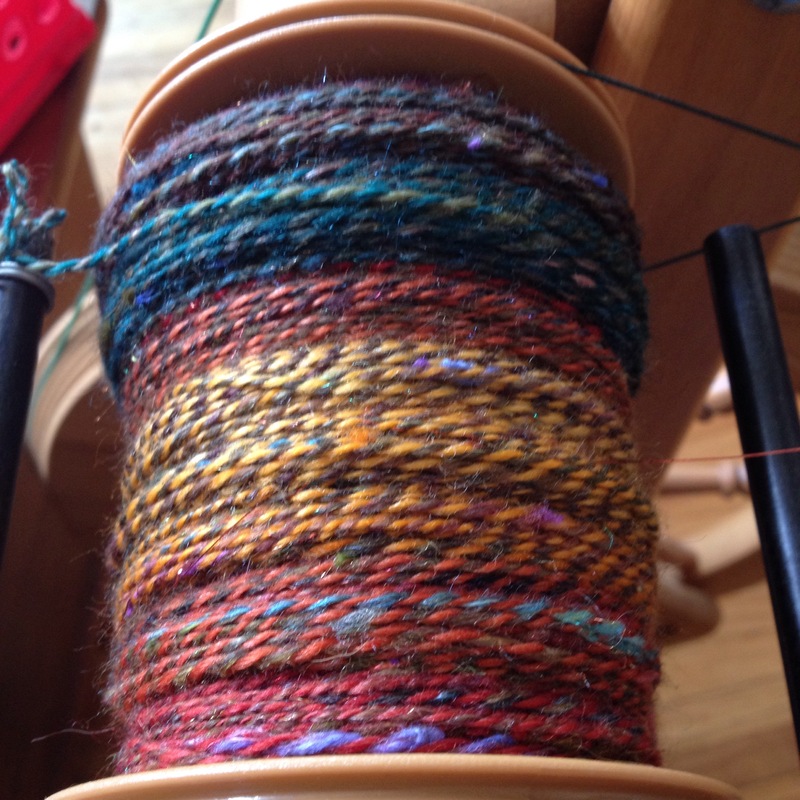 Most notably the Smaug batt and braid plying project. 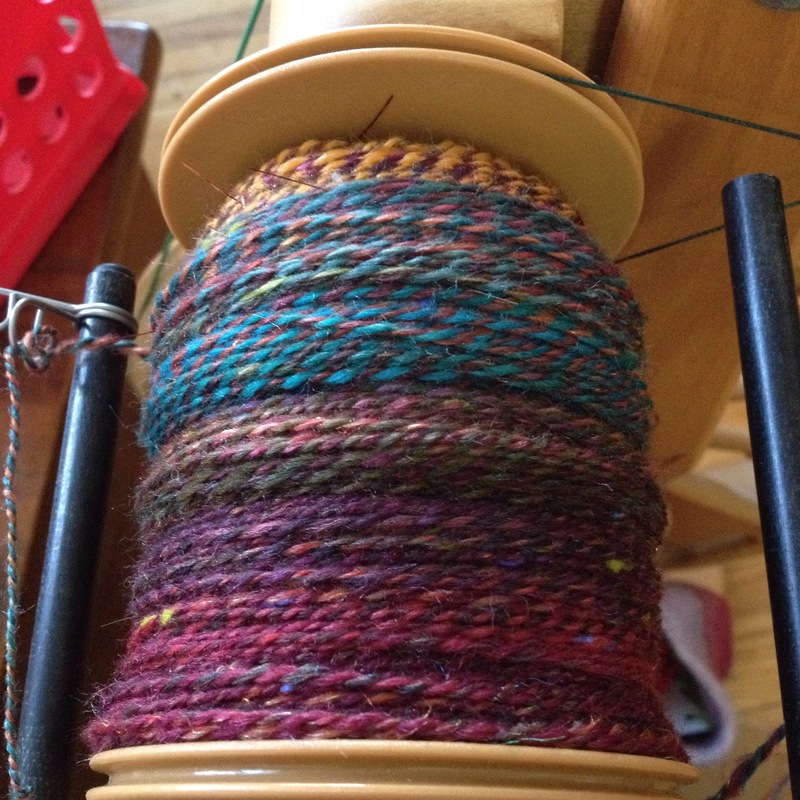 Hopefully the yarn will dry quickly so I can show you a final handspun picture tomorrow! The glimpse we have now is just lovely. I can hardly wait!